Marie and I just retired december of 2016 and had already bought an RV to enjoy our new freedom. Non-smokers, no pets, we like good meals with friends and wine. Visited Vancouver and Niagara regions in 2017. Planning for east coast this year.. I am 66 and Marie is 58 and both of us are enjoying life. We both speak fluent french and english, and I speak a little spanish. 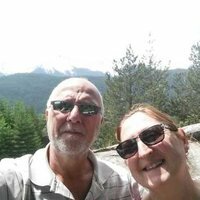 Both Marie and I also retired as professionnial IT consulting, so we are kind of familiar with computers. We intend to travel to east coast of Canada for this year. We live in Chateauguay, province of Quebec, very next to the Chateauguay River. 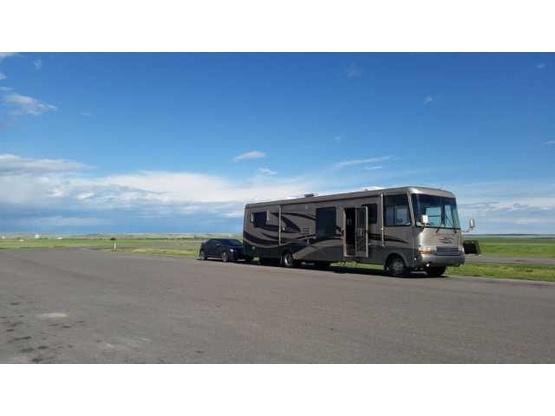 Class A Newmar Mountain Aire 2000, 37 foot, used by first owners as "fulltimers". We've got everything we need to camp but appreciate meeting people when available and received good advises about what to visit. This unit has 1 slide-out but it ain't necessary for us to open if there is no space. Very Nice people.Have a safe trip. They were very good guest, We had good exchange on muscle cars, I hope to see them again. Had a great few days with Yvon_Marie and their sister. Great conversations around the campfire. Enjoyed the nightly chats and learning of their adventures that took place that day. Great people. We hosted Yvon and Marie on their trip to southwestern Ontario. They were very good guests, easy to have visit. Pleased to meet them and chat.